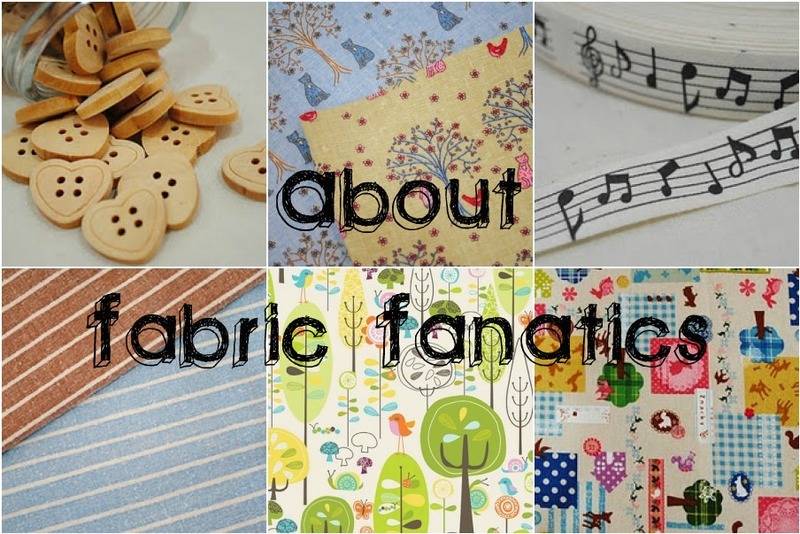 Fabric Fanatics start operating in 2008, selling on Etsy. Blogshop was created in 2009. 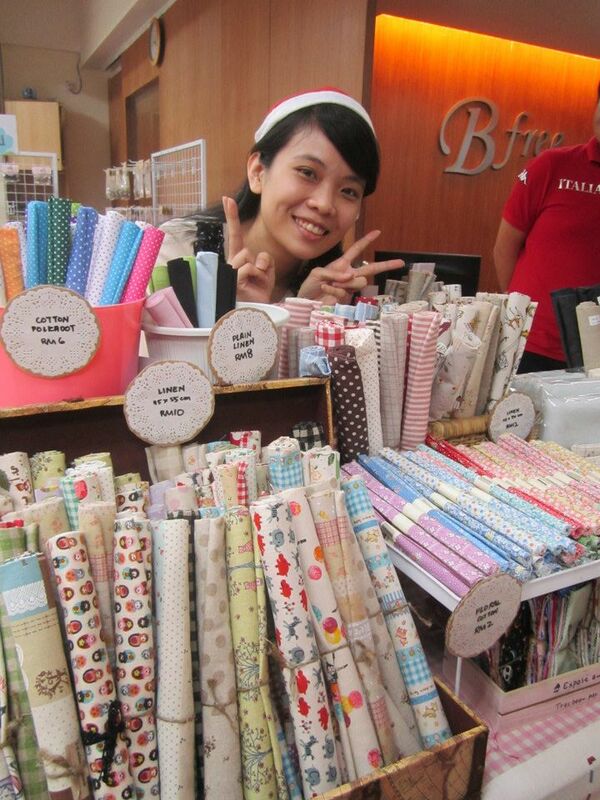 Fabrics and craft supplies are all imported from Taiwan, China, Korea, Japan and USA. 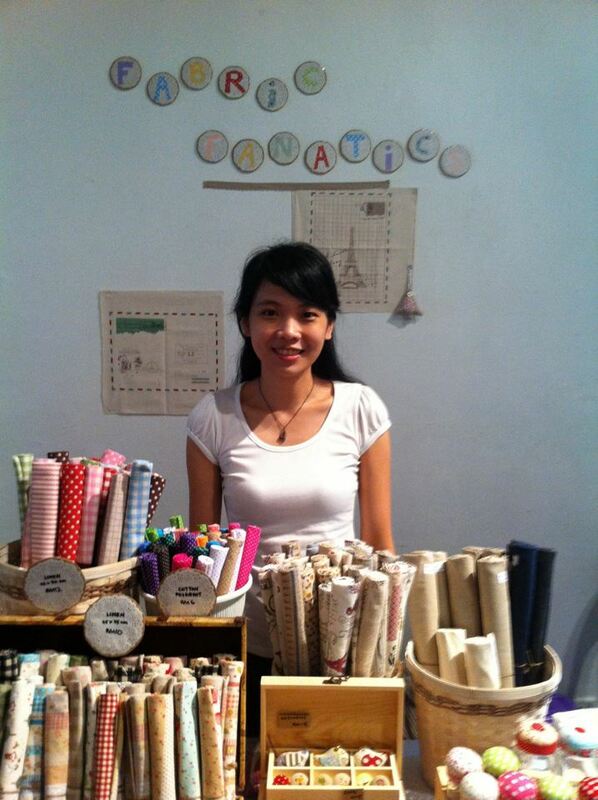 The idea behind Fabric Fanatics, is to continue to source and supplies fun and whimsical fabrics and craft material. Whimsical as in magical and quirky, fun as in cute, colourful and happy. Hence, you will see lesser floral and plain colour choices. 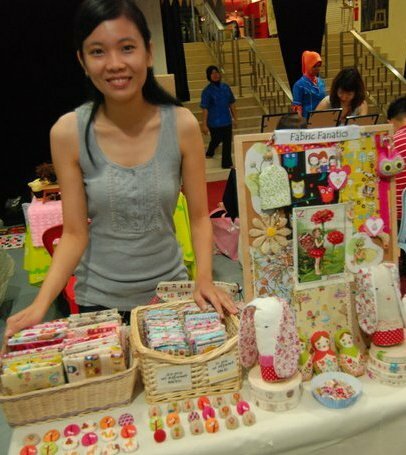 You will find a lot of animals, fairy tales, and zakka themed design in Fabric Fanatics. Fabric Fanatics shop was opened at Summit USJ Mall. 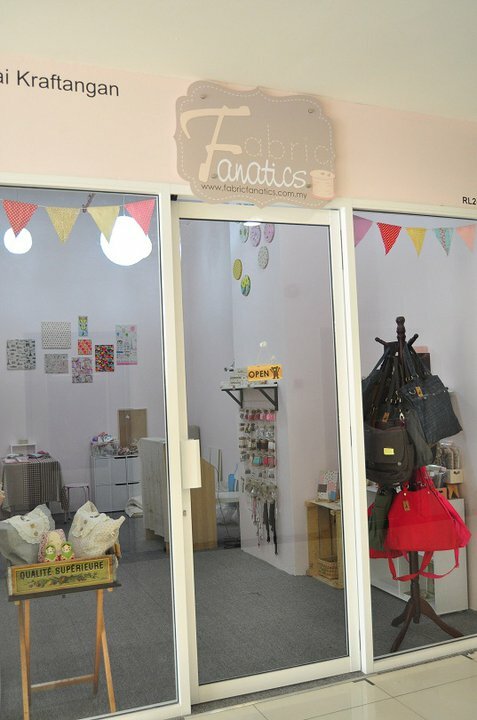 Fabric Fanatics items are also available at Zakka Loft, Ipoh and Sweet Home Boutique Cafe, Penang. 2008, it started as a part time hobby job on Etsy, sourcing in rare fabrics from around the world. It's not easy working on Etsy but I learned so much from there. And in 2009 the blogshop catalogue was created to cater for Malaysia creative minds. And little did I know, my career path changed 360degree ever since. [I was a Chemistry B.Sc. graduate and worked as an semiconductor engineer for 6 years]. Online business was running for 1.5years before I finally came from behind scene and joined bazaars. It was a very different experience altogether. Interacting with people is more fun than I thought. Before, I was a bit intimidated with the thought of meeting people/strangers. Fabric Fanatics first bazaar appearance at Subang Parade I Love Bazaar, Oct 2010, at a very secluded area but thank you so much for those who took all the effort to find me. Thank you so much for the great support. 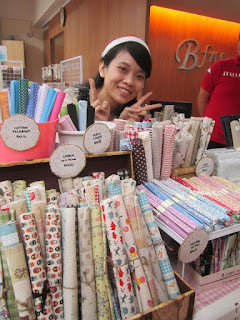 Fabric Fanatics at Empire Subang, June 2011. 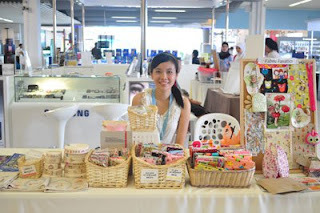 First time at Kaka Art Market, Mar 2011. I was with them, every month, without fail, until Oct 2011. Unfortunately I have to end my tenancy with them due to their policy of not accepting craft supplies vendor. However, I have to thank the organizer heartfully for giving me the opportunity for being part of the fun carnival family. at Arts for Grab, Annexe Gallery, Dec 2011.
at SSB4, Sunway Mentari, Dec 2011. The brick and mortar shop was opened on July, 2011 at The USJ 19 City Mall, Subang Jaya. Small but cosy shop. It was really empty, with only 2 big rack and 1 small rack and a small corner for handmade products. But now we have 8 full racks and a bigger handmade corner! This picture was taken in July 2011, it was still so empty. Do visit to feel and touch them personally. Along the way, the best thing I gained from these years are the friendship I had with some of my regular customers, whom now I no longer regard them as customer but close friend and also vendors whom I always meet from bazaars to bazaars and now also became really good gossip buddies. I could not say enough thank-yous to everyone who supported me so much. And so sorry to some familiar faces that I could not remember your names, my memory sometimes fail me. I am trying my best to remember all the names. Awesome collection of fabrics! I just started following you and now you have 1000 followers! Congratulation..Really admire...hope one I could visit your place..and buy some thing..
are u still in summit usj1? do you have latex type?